Whatever your idea of the typical blues and roots performer might be, throw it out the window because Tracey Barnett is not it. The Western Australian singer-songwriter has been wowing audiences with her distinctive, high-energy brand of blues and roots, earning her a reputation for exhilarating solo shows that leave audiences wanting more. Armed with her trusty acoustic guitar and harmonica, Barnett doesn’t have a backing band. Nor does she need one, having skilfully paved her own path with a heady mix of sounds combining to achieve a cohesive style all her own. Barnett’s experimental flair merges effortlessly with traditional rock rhythms and country elements, creating a fusion that’s impossible to resist. A multi-instrumentalist and dynamic performer, her powerful stage presence inspires hopefulness, connectedness and pure, unadulterated fun. While some performers might choose to go down the full band path after a taste of success, Barnett made a conscious choice to stay true to her roots and remain solo. It’s a decision that’s paid off bigtime for the Bridgetown local, receiving WAM Song of the Year nominations across multiple years, two WAM Award nods in 2017, and festival slots at many of WA’s biggest folk, blues and roots festivals. Barnett’s songwriting is inspired by a deep sense of connection – with herself, others and the environment. Lyrically, she bounces between reflecting on past experiences and writing of the person she wants to become. Most of all, she writes with sheer honesty – making for heartfelt music that’s exceptionally relatable. 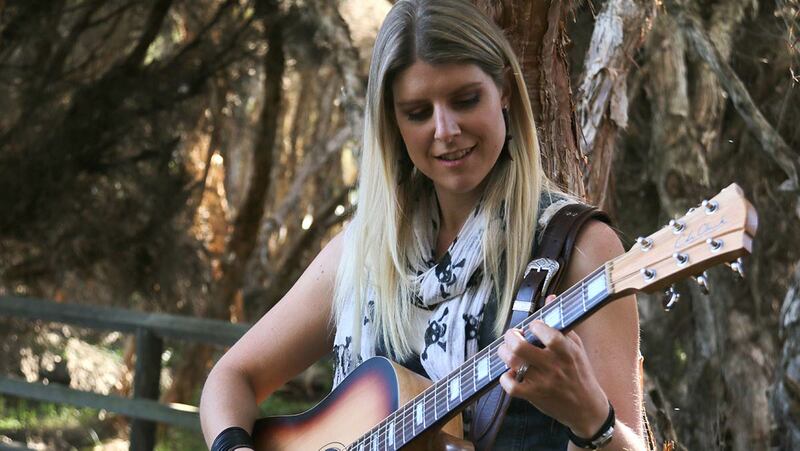 Following two EPs, Barnett’s debut album Heart, Soul, Feeling was released in 2017, receiving plenty of airplay across community radio, ABC Radio and Triple J’s Roots ‘n All program. From festivals to intimate venues, Barnett’s music fills any space with a powerful energy and an uplifting sense of hope. Her thrilling live shows have connected with audiences across her home state, from the Kimberley to the Great Southern, and east coast audiences can look forward to seeing her in late 2018.